On Monday evening, journalists from across the country clamored to get a look at a shiny new device that may give Apple something to worry about: the Microsoft Surface. Though most tech publications had already predicted what Microsoft's big announcement would be when they found out about the press conference last week, the device was met with great fanfare at Milk Studios in Los Angeles. Microsoft's chief executive officer, Steve Ballmer, announced that the Microsoft Surface was meant for work and play – appealing to serious gamers as well as individuals who just need a device for everyday use. This new 10.6 inch tablet is 9.3 mm thick and weighs just 1.5 pounds – plus, it comes with two ultra-thin cover options that also function as keyboards, tackling the ever-frustrating issue of the touch screen right from the start. Microsoft did not provide an official release date or price for the Surface, but Ballmer did explain that it would be available in two different formats. According to Forbes, Microsoft will first release a Window RT tablet, which comes with 28 or 64 GB of storage and acts as a casual-use mobile device. A few months later, it will release an Intel-powered device that will have all of the power and capability of a laptop or desktop, plus increased storage. 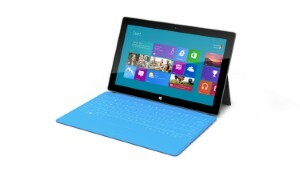 Called the Surface for Windows 8, this tablet was intended as a the perfect stage for Microsoft's new operating system. But, as exciting as this news is, a new device usually means a whole new range of glitches for computer repair experts to tackle. 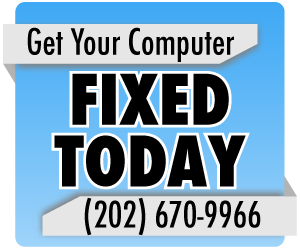 Thankfully, the technicians at Geeks On-site are keeping a close eye on the latest computer developments, so they'll be able to offer top-notch Washington, D.C, Maryland and Virginia computer repair services as soon as local residents get their hands on these new devices.